Remember we consider 12 players, (playing on the day), the minimum number to be classed as a society. 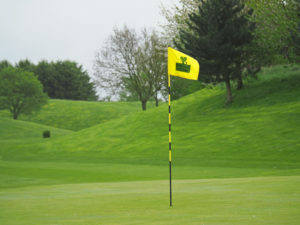 We have a couple of freebies available for larger groups; if 17 or more turn up to play on the day the organiser can play FREE and if more than 28 players turn up on the day we will issue 4 green fee vouchers to be used as prizes for your day. 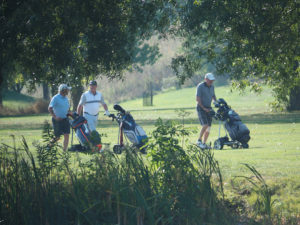 Tee times for societies generally start from around 9.30am, but if you really want an early time, we will do our best to send you off from our 13th tee. Many golfers say we should have our 13th tee as the 1st to enable what is our signature hole, the 12th green, to be the last hole. However, the way things are set at the moment it enables us to work a variety of combinations and helps keep our members happy too. To book a society simply email the date and time you wish to tee off along with your preferred society package. However, if you want something slightly different to anything listed below, we will happily send you a quote.